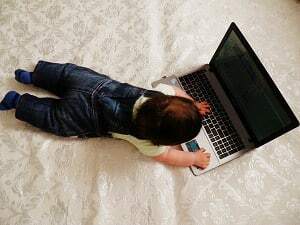 When you buy a new laptop, it is important that you have a high standard that keeps your device safe. When you have spent more than $1000 on your laptop, it is essential that you pay a little more to make sure that it is properly protected. For this reason, these best laptop backpacks are created. 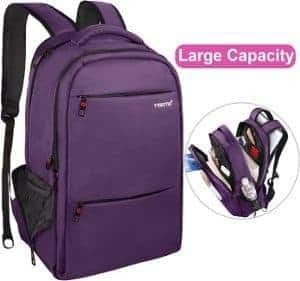 We understand that you have to consider many factors like body type, comfortability level, strength, padded handles and much more before you buy a laptop bag. 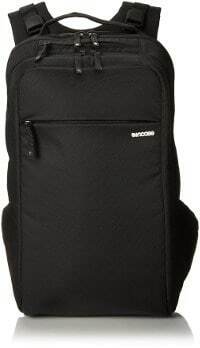 So, here is the list of top 10 laptop backpacks that you must consider. 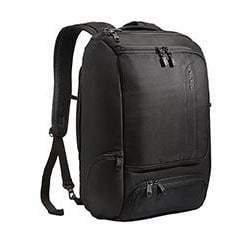 eBags is one of the best laptop backpacks that comes with a lifetime warranty, attractive design, and high comfortability level. It would be an excellent selection because of the amazing features. 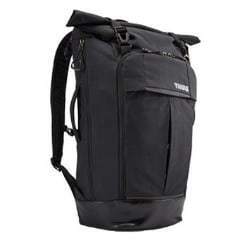 It has been manufactured with the DuPont Teflon fabric that provides the bag a twisted filament exterior. There are multiple compartments in the bag and a special padded pocket to keep your AC charger. There is a zippered pocket to keep your water bottle. The laptop compartment is padded that can easily fit a 15 inches laptop. In case that you want to keep a 17 inches laptop simply remove the extra padding and you will get the required space. There are several other compartments to keep your tablets. You can also convert the eBag into a briefcase. The handles have been padded to make sure that you can easily carry the weight. The bag has a messenger bag like design; this is the reason that you might find it hard to select the laptop bag for yourself. You will be surprised to know that it is a dual laptop and messenger backpack. In seconds, you can attach the padded straps and convert the bag into a laptop case. It has a unique functionality that will allow you keep your laptop protected in the completely padded pockets. Apart from that, it has separate compartments for keeping your tablets, phones, and chargers. Apart from the front zipper compartment, there are also many other storage pockets. The comfortable straps will keep it easy to carry around so that your shoulders will not get fatigued. For your 15.6 inches laptop, it will provide you with a 360-degree protection. If you are a perfectionist and want to ensure that the laptop bag will provide your device with the utmost protection then Thule will be your best choice. 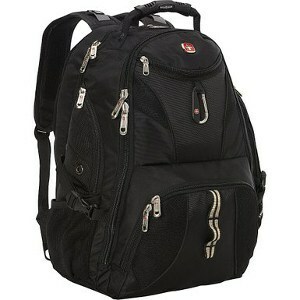 It is the daypack that has set high standards that are hard to meet by all other laptop bag manufacturers. One of the best things about the Thule bag is that it can withstand all types of environment whether if it is rain or snow. The major compartment of the laptop has been properly padded to make sure that you will get the best protection for your 15.6 inches laptop. There is a front compartment for additional storage of cables. The shoulder straps have been padded to make sure that the bag is comfortable to carry. So get your life organized with the best laptop bags. Make sure that you buy the case that will meet your budget and your requirements. 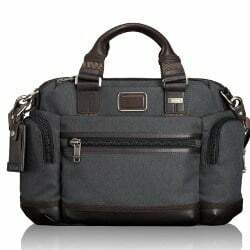 There is nothing better than a stylish bag for your cool laptop. It has been made with the 420D nylon that is considered as the most reliable material. This is the reason that paramount is considered one of the most durable and long lasting laptop bag. For the extra reliability has the safe edge technology. Apart from that, the sides and bottom of the bag have been welded to keep it protected from water, dust and other kinds of harmful material. The inner pockets of the bag have been properly padded to make sure that they are safe against the laptop. There are several zipper compartments for keeping accessories like tablets, phones, and pens. The main compartment has been given such a design to provide you with the direct access to your laptop. The straps of the bag have been properly padded to ensure that it is comfortable and easy to carry. 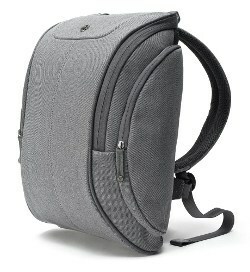 With the curved look, Booq is a stylish laptop bag that will make you look cool. The curve of the bag will not reduce the storage capacity. Apart from that, you have water resistant features and reliable zipper and you will have a special code for the recovery of lost bag. It has been manufactured with the high-quality herringbone nylon interior and ballistic polymer. It has a 2.2 pouch weight and can easily carry 15 inches of the laptop. There is an inward curve in the padded shoulder straps to make sure that it will adjust according to the curves of your body. Apart from the main compartment, there are two side compartment and inside pockets so that you can keep your accessories. The main compartment is zippered and has two separate pockets and a slot to keep your pen. Everything listed above makes it one of the best laptop backpacks. If you are looking for a premium option Tumi Alpha is the best choice for you. It has been manufactured with the quality material and the design of the bag is amazing. The best thing about Tumi Alpha is that you will pay for what you get. It has a casual and contemporary look. The bag has been manufactured with ballistic nylon. There is leather detailing and metallic zipper. It has padded straps to make sure that the bag is easy to carry on the shoulders. There are separate compartments to keep your tablets, phones, pens and accessories. In the main laptop compartment, there is also an additional zipper for you to keep some hidden items. It will keep your laptop safe from the bruises and bumps. Sometimes all you want is a simple laptop bag to carry your device and all the other accessories. The Solo Pro has a flat design and the padded compartments that provide you enough storage space to keep your tables, pens, accessories, phone and laptop. It has been made with quality ballistic polyester so that your laptop will enjoy properly protection. The exterior of the bag is leather manufactured to give it an attractive look. It can easily carry 14 inches to 17 inches laptop. 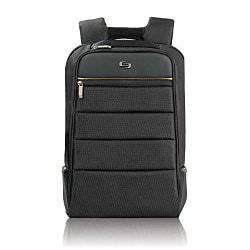 It has the clamshell design with the padded shoulders so that you can easily carry the laptop to any destination. Backpack will be your perfect hand carry on the airports. Solo pro has the front zipper compartment for extra storage. The flapjack has a stylish design, with a modern look and water resistant technology (look also best waterproof laptop backpacks). If you are a commuter, it is the perfect option for you. It has a matte shade during the day light and at night you will get the logo shining in the middle. The Flapjack is very light in weight and it will allow you to carry as many items as you want without getting the bag heavy. 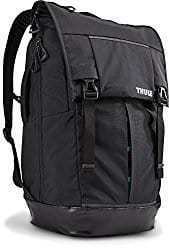 There is a plenty of storage, as well as the padded shoulder straps, make it easy to carry. Apart from the padded inside compartments, there are net side pockets that will allow you to keep small items of daily usage. There is additional space for tables and other devices. There is a side pocket to keep the water bottle and a lone pocket with a zipper to keep your phone. Definitely one of the best laptop backpacks. If you are looking for a laptop bag that is made with a high-quality material in the affordable cost then best briefcase is the best choice. 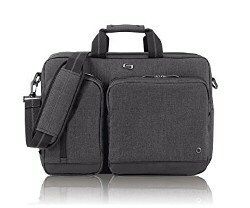 It is the neoprene slim briefcase that has the capacity to keep 11 inches to 15.6 inches laptop. It is available in different colors for you to select. The bag has the perfect storage for all your accessories like mouse, charger, smartphone and tablets. The pads in the shoulder straps are too thin but it is comfortable to carry. The compartments of the bag are properly padded to provide your laptop with the protection that you require. It is ideal to take on trips and even to the office. The bag has a long strap to carry on shoulders and short straps in case that you want to carry the bag by your hands. 1 interior and 5 exterior pockets. 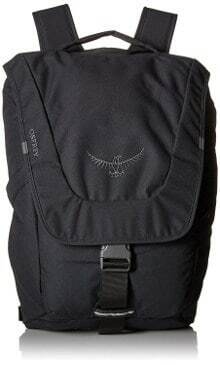 In order to make sure that the bag is comfortable to wear, there are padded Sentrum straps. The bag is easy to carry even when it is loaded with devices. When you have completely packed it, the bag presents a cool appearance. There are special compartments to keep the water bottles so that you will not have to worry about any kind of leakage. The pockets of the bag have been completely padded to keep your devices safe. There is only a single drawback that you will find in the bag that sometimes it becomes inconvenient to carry. We put this backpack in the “premier league” of the best backpacks for laptops.